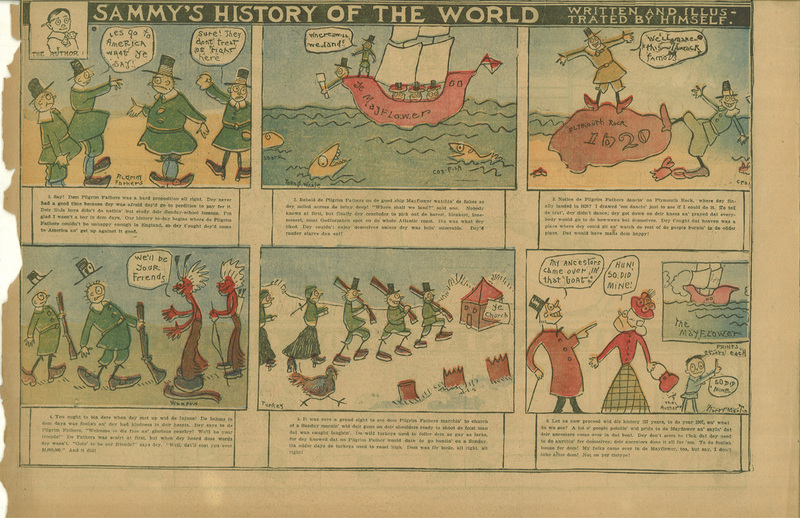 Here’s an example I scanned of Sammy’s History of the World from 1907 by Harry Martin. Please be advised that like many of the comic strips of the era, it contains offensive racial depictions. If this sort of thing offends you, you may not want to view it. Click the image to view the full strip.